patients have either developed a cataract or have had cataract surgery. 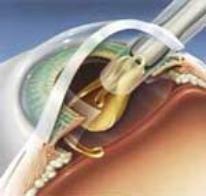 A cataract can occur in one or both eyes. It cannot spread from one eye to the other. image you see will be blurred. • Cloudy or blurry vision, decreased reading vision. • Glare, Headlights, lamps, or sunlight may appear too bright. • A halo may appear around lights. • Double vision or multiple images in one eye. (This symptom may clear as the cataract gets larger). headlights at night can cause unbearable glare. glasses will find that they can go without them. This is called Second Sight and indicates the formation of a Cataract. • Sometimes because of swelling of the cataract the pressure in the eye goes up and the patient complains of mild heaviness or headache. Cataract can develop at any age. • Newborns can have cataract due to infection in the womb commonly due to rubella. 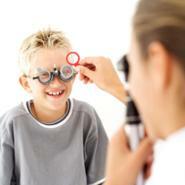 • Any blow to the eye in play and even severe malnutrition can lead to cataract in childhood. 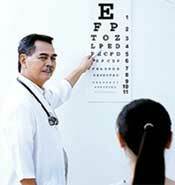 can cause cataracts in the 20-40 year age group. Cataract. Anytime there is an internal eye disease, Cataract is the likely result! radiotherapy for cancer of the head and neck are likely to develop Cataract. • Make sure your diet has the necessary vitamins and minerals. appropriate blood tests as recommended by them. • Do not put steroid creams indiscriminately or use eye drops long after the doctor has stopped prescribing them. • Yes. Although most cataracts are related to aging, there are other types of cataracts. who have other health problems, such as diabetes. Cataracts are sometimes linked to steroid use. 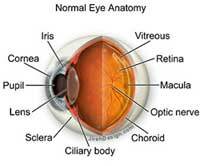 • Traumatic cataract: Cataracts can develop after an eye injury, sometimes years later. small that they do not affect vision. If they do, the lenses may need to be removed. • Radiation cataract: Cataracts can develop after exposure to some types of radiation. How is a cataract detected and fully evaluated ? the details with an Auto Refractor. density and any complicating circumstances. enlarges the retinal image, your retina and optic nerves are assessed for signs of damage and other eye problems. called an Applanation tonometer can be placed on that the clear cornea after applying numbing drops. the speed of development and when he would expect the cataract would be ready for removal. functions or if there is any pathology like macular degeneration. energy used to remove the cataract. If they are weak, then a special protective viscous liquid is used during cataract surgery. to a range of+/- 1.5D. predicted. Hence a little astigmatism which normally decreases with time is also expected. essentially an opaque lens which consists of a thin capsule outside and fat nucleus. (like the kernel of a fruit) inside surrounded by soft cortex. do it, half the eye was cut open, almost 180 degrees. Still done rarely, but only if the lens is dislocated. • Extracapsular surgery : Your doctor makes a longer incision on the side of the cornea and removes the cloudy core of the lens in one piece. The rest of the lens is removed by suction. sclera (white part of the eye). by suction. Most cataract surgeries today are done by phacoemulsification. available for these very fine incisions and microphaco is done only in special circumstances. Eye Institute. Dr. Keiki Mehta has been specially been trained in USA for AquaLase. reduced. Ideal for hard cataracts also. Why Infiniti is the most advanced, latest instrument for Cataract surgery? What does it do? perfection and performance to and virtual total safety in cataract surgery. Vision System, the world's first tri-modal cataract removal surgical instrument. • Utilizes the new OZIL dual ultrasound technique to remove lenses very fast especially hard cataracts. 1. 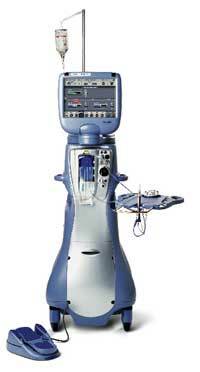 Advanced ultrasound phacoemulsification alone with, the ability to use micropulses or hyperpulses. 2. 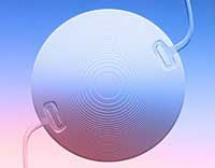 The combination of ultrasound and oscillation energy provided by the NeoSonix® headpiece. which gently and with great safety, dissolve the cataract. 4. New Ozil technology, ideal for hard cataracts and for sensitive corneas. monitoring in real time, enhancing safety. removal technology is a quantum leap forward and significantly improves results following cataract surgery. at the back of the cornea. morning of the surgery. Naturally no eye makeup or kajal/surma. No bindu or Kumkum. and cleansed with antibiotic solution. running out of the eye but you will no pain whatsoever. can go home an hour following surgery. You will need someone to accompany you or drive you home. the first day, is also common. Your eye may be sensitive to light and touch. You may see objects coloured on the first day. • When you are home, try not to bend from the waist to pick up objects on the floor. Do not lift any heavy objects. You can walk, climb stairs, cook. But for 10 days do light household chores, with no heavy lifting. • In most cases, healing will be complete within four weeks. Your doctor will schedule exams to check on your progress. What type of IOL should I implant in the eye? also correct the eye’s existing refractive error. rolled up and placed inside a tiny tube. The tube is inserted through a very small incision – less than 2.5 mm in length. 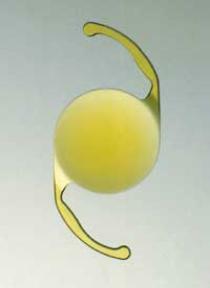 Clamshell accommodative IOl’s for which trials are proceeding. Should I implant an Multifocal implant in my eye. What are the advantages and disadvantages? modicum of accommodation to the patient, Multifocal lenses have been devised. • There are two types of Multifocal implants. Fixed and Variable. What are the latest ‘variable focal’ Multifocal implants? glare and flare is seen in these lenses, and one can drive at night reasonably comfortably. Great value though a bit costly. When will my vision be normal again after cataract surgery ? when your eye heals, you may need new glasses or contact lenses. doctor may ask you to temporarily stop taking certain medications that increase the risk of bleeding during surgery. increase in flashes or floaters. 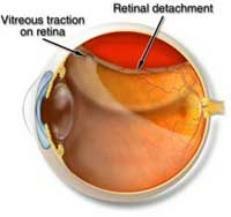 Floaters are little “cobwebs” or specks that seem to float about in your field of vision. If you notice a sudden increase in floaters or flashes, see the doctor immediately. 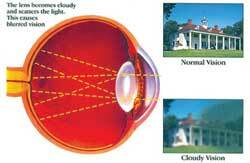 turn cloudy months or years after surgery creating, what is called as, an after-cataract. An after-cataract can develop months or years later. make a tiny hole in the lens to let light pass through. This is a painless outpatient procedure. your prior cataract removal and lens implant surgery. 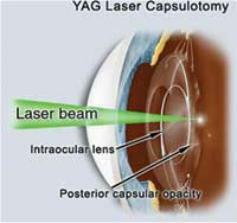 (like in Lasik) but the laser is only applied to the surface ( called surface ablation) A few days of discomfort and the vision becomes sharp. of lines in the chart you can see will remain the same. It differs from patient to patient.